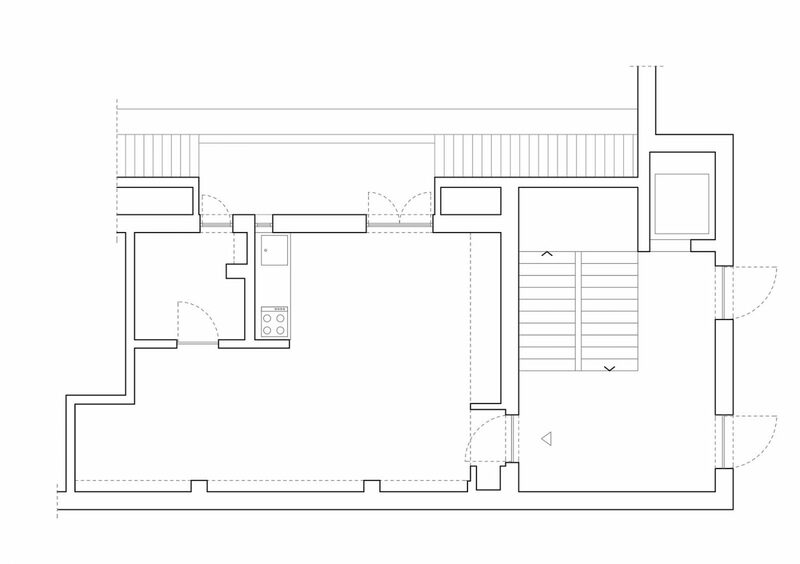 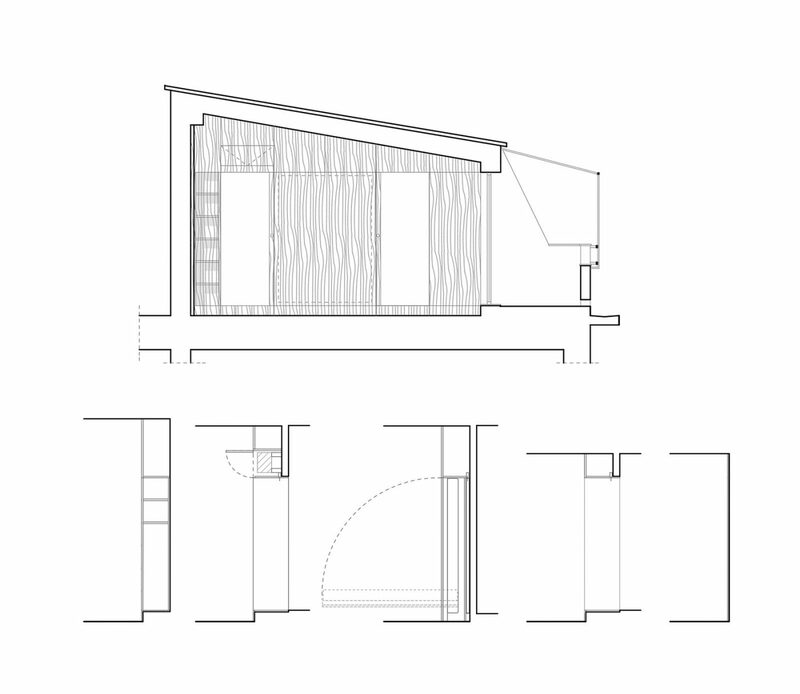 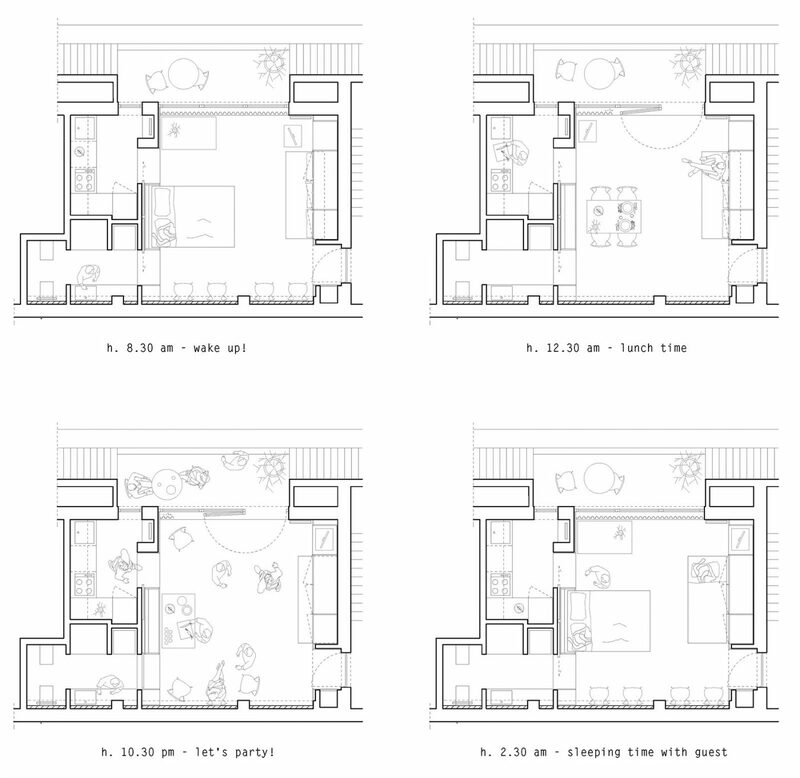 The home is concentrated in one main space defined by the kitted-out walls. 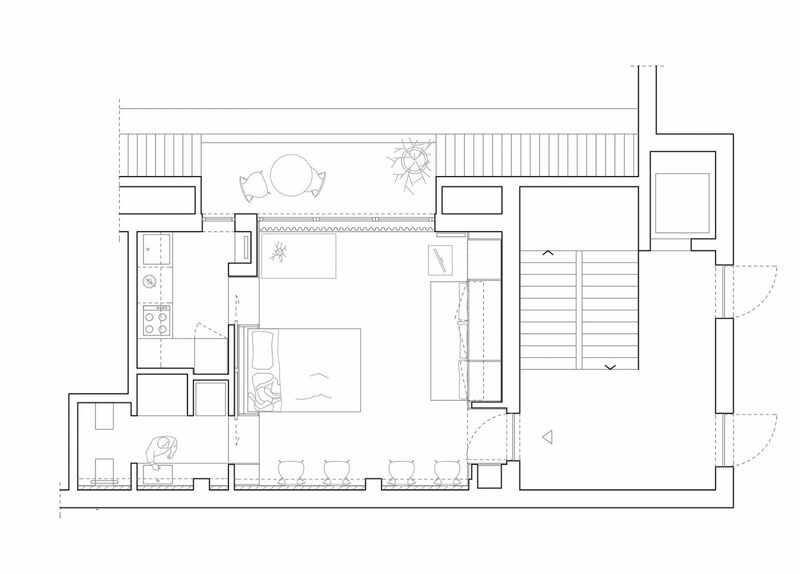 A large window overlooks a terrace and expands the perception of the interior space. 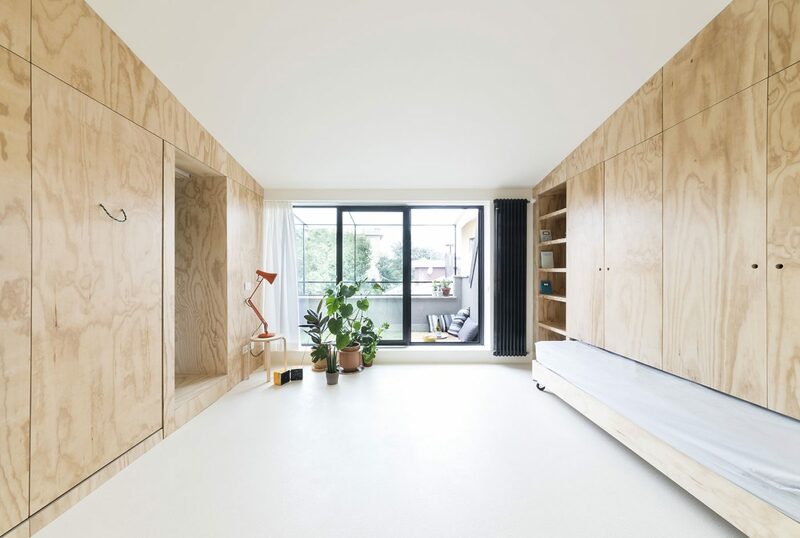 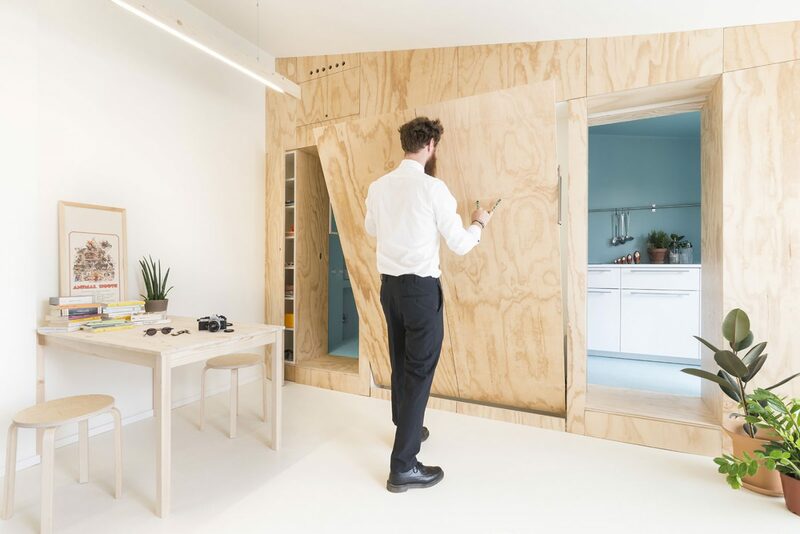 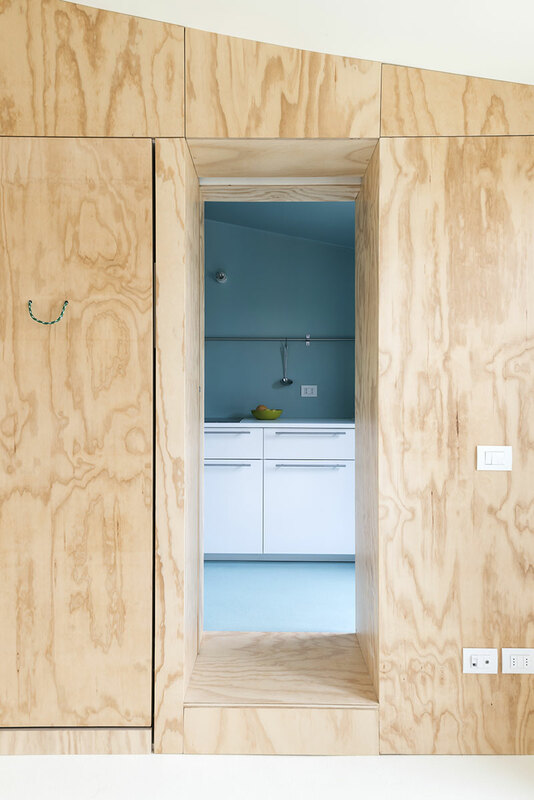 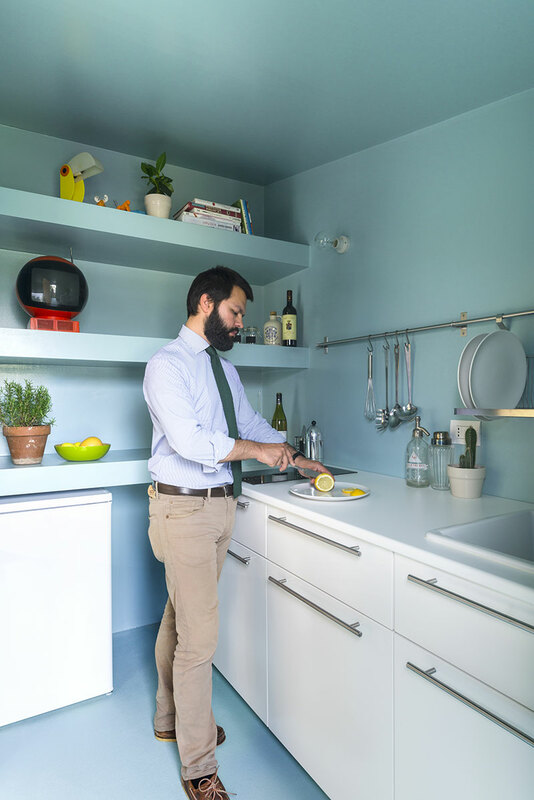 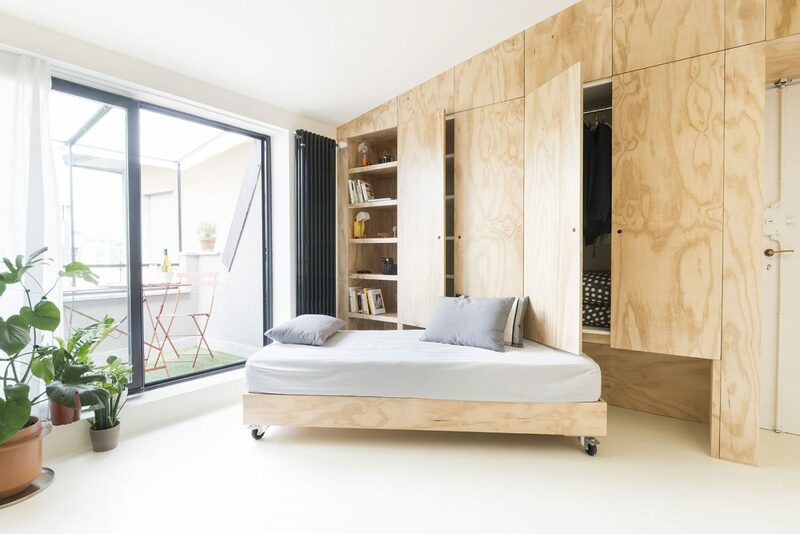 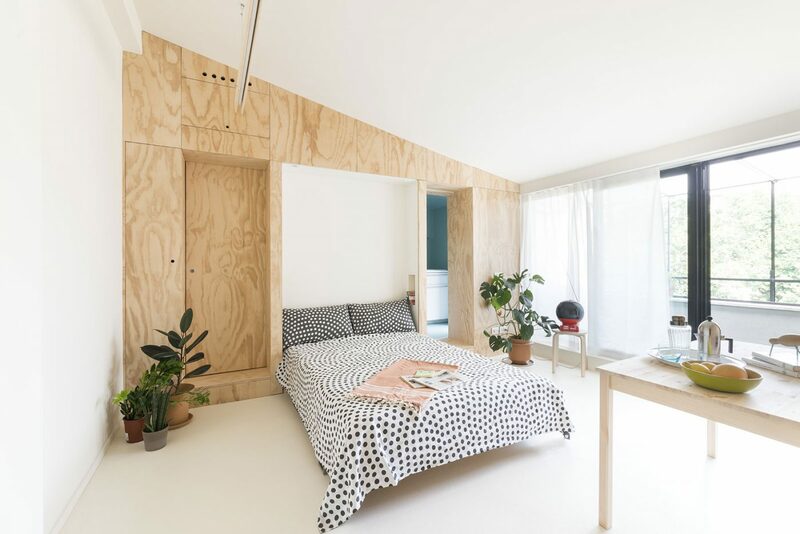 The two "active" walls in Batipin conceal all the fixed furniture, the folding bed, the sliding doors to the bathroom and the kitchen, a wardrobe and the space for the air conditioning unit. 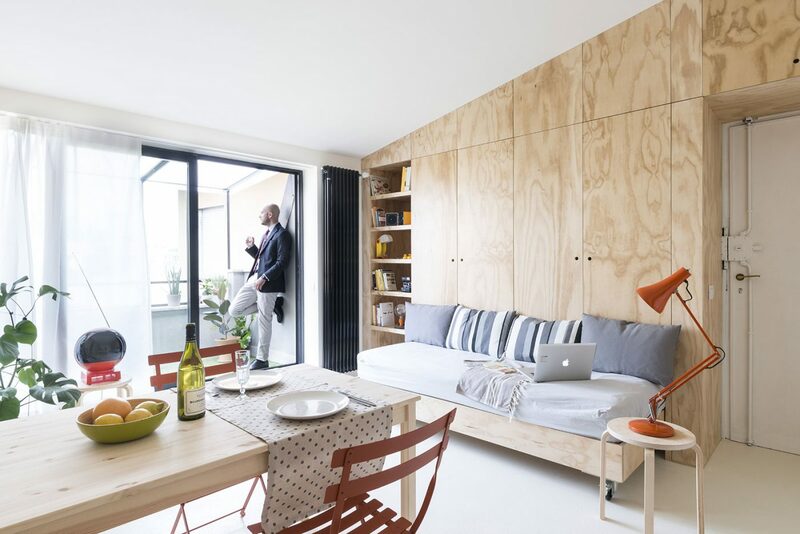 The living area has great flexibility and can change its appearance during various hours of the day according to the desired use. 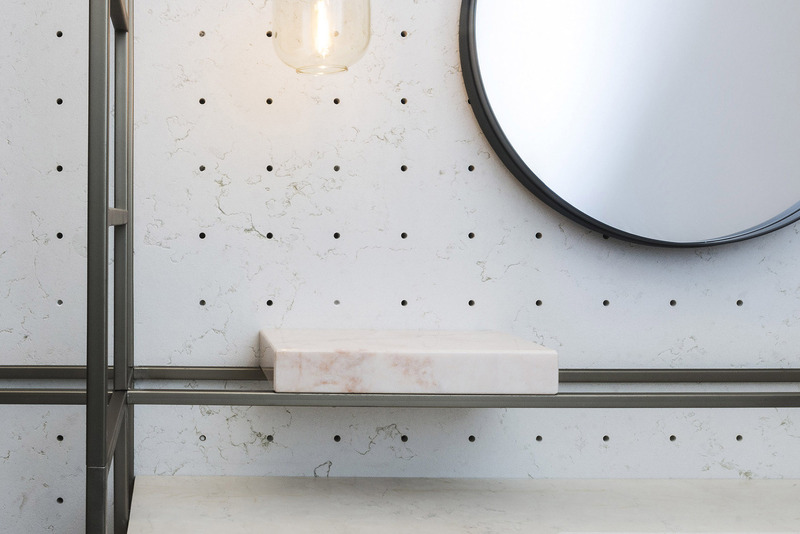 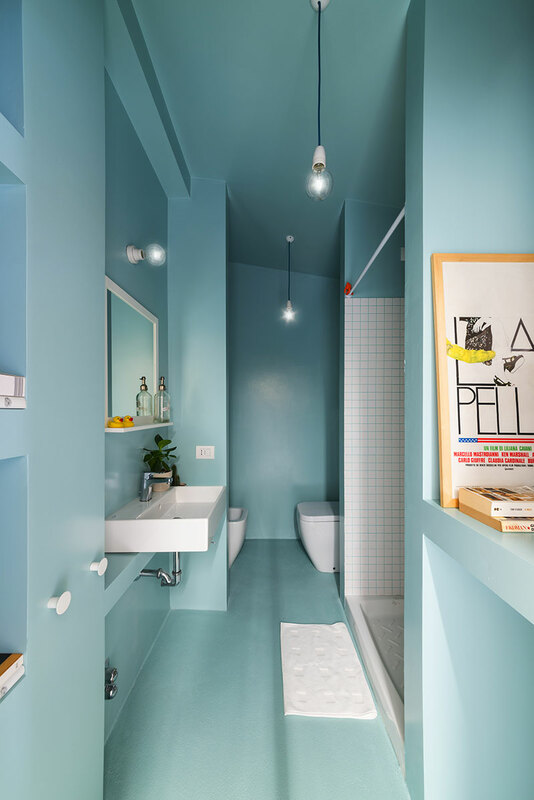 The bathroom and kitchen are two monochrome blue boxes, while the living area is characterised by white surfaces to amplify the brightness and bring out the materiality of the wooden walls.